It’s a media-rich world. Everywhere we turn, from the moment we awake until the moment we go to sleep, we interact with, interpret, and create media. 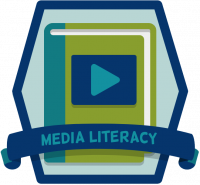 In this lesson students will have an opportunity to exercise and develop critical thinking relating to media, use problem solving skills to deconstruct media production, and collaborate to create a media communication piece. Ads have power. Advertisers use images, words and music to persuade you to feel a certain way or perform a specific action. This video explains five key facts about how ads are constructed to help you understand how to critically evaluate advertisements. Here are several resources that provide examples of the advertising techniques discussed in the video, 5 Facts about Advertising. Please Note: Some of these examples are YouTube videos. They may contain ads you might not want your students viewing; please use your discretion. 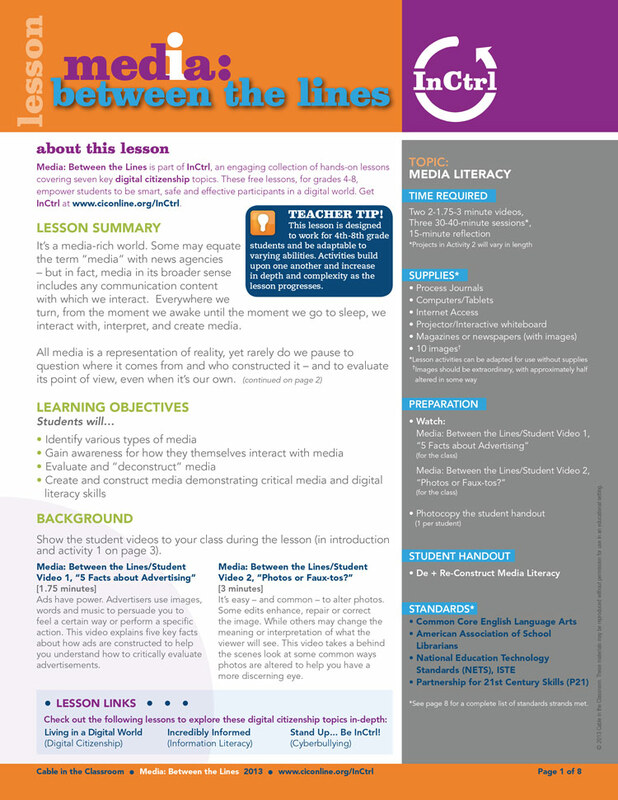 Depending on the broadband connection in your classroom and your school’s filtering policy, you may need to download the video to play in your classroom. It’s easy – and common – to alter photos. Some edits enhance, repair or correct the image. While others may change the meaning or interpretation of what the viewer will see. This video takes a behind the scenes look at some common ways photos are altered to help you have a more discerning eye.